Perform perfect abdominal crunches regardless of fitness level with the Ab Roller Evolution. You can flip this ab workout equipment to do a total body workout including pushups and dips. Add additional weight to increase the intensity of your workout. 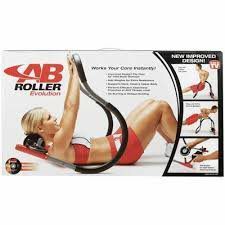 This Ab Roller Evolution offers support to your neck, head, and upper body allowing you to perform all of your exercises from the comfort of your home gym.